2. Un gran punto a favor de EE.UU. : el campeón olímpico Wesley So analiza su victoria sobre Ian Nepomniachtchi. 3. Las tendencias en el Gambito Benko: ¿por qué muchas veces las negras suelen retrasar la captura en a6? ¿Cómo deberían reaccionar las blancas? El GM Stohl nos pone al día. 6. Medalla de oro en el primer tablero y 8 puntos en 10 partidas: Daniel King muestra una de las brillantes partidas de Baadur Jobava en la Olimpiada de Bakú (vídeo). 7. El sacrificio posicional de dama: el experto en estrategia Mihail Marin revela por qué el sacrificio de la pieza más fuerte a veces puede ser una solución práctica. 8. La marcha del rey: David Navara ha descubierto otra fantástica marcha con el rey, esta vez desde g1 a h7. Y ganó. 9. 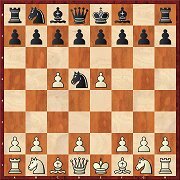 La Eslava con 4.g3: El GM Vidit Santosh Gujrathi nos explica por que los grandes jugadores como Gelfand y Grischuk practican esa variante que no es la principal (Vídeo). 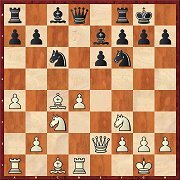 Instead of allowing Hedgehog positions with 7...Be7 8.e4, moving the bishop to b6 leads to quite different types of position (since 8.e4 0-0 9.Be2 can be met with 9...d5!). 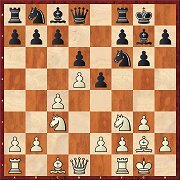 Evgeny Postny sees Black as having equalised and thinks that 6.a3 will perhaps disappear from practice. The Chase Variation is actually considered harmless. 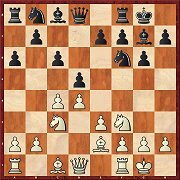 But in his article Valentin Iotov shows that with 5.Nc3 e6 6.d4 White can bring about extremely sharp positions. Both sides have the option of leaving the path which transposes to the Alapin Variation (Sicilian). 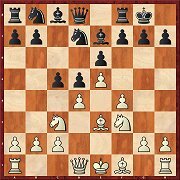 At the heart of Michal Krasenkow’s article there is the continuation 5.Qf3 e6. After it play is of a very forcing character. Black needs to know what he is doing, but if he does he has no difficulties in achieving a level game. By first playing 9...Nxd4 Black avoids the 9...Be6 10.Nxe6 variation. On the other hand, in the position in the diagram White must not castle long but can play more flexibly. But according to Krisztian Szabo’s analyses, it is not clear whether 9...Nxd4 is better than the alternative. By choosing this move order Black delays Nb8-c6 and is planning 8...b6 on his next move. Then he no longer has to fear d4xc5 and moreover has ...Ba6 up his sleeve. Knut Neven analyses the variation and also presents ideas for Black after the aggressive 9.h4. 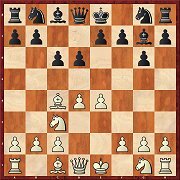 So far the Bogoljubow move 5.Bd2 has been considered really harmless, but the new trend is towards 5...Ne7 6.a3! As Nadezhda Kosintseva convincingly points out, White then has very good chances of an opening advantage. 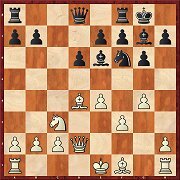 Petra Papp has an aggressive plan against the popular variation with 6...Qa5: 8.Qg4 and after Black has protected the g7-pawn the queen does not return to d1 and the c2-pawn is not defended. Black appears to have problems here. The variation with 5...e6 and a subsequent c6-c5 should not be under-estimated. Black may well lose a tempo, but a4 is not necessarily useful. Andrey Sumets cannot see any opening advantage for White. 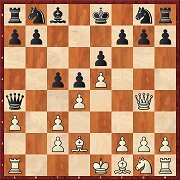 Putting the bishop on e2 has, above all in the lines with d4xc5 and an early exchange of queens, the advantage that pressure is being exerted on the a6-b5 pawn chain. Robert Ris is very optimistic for White, though he admits that Black gains equality with precise play. 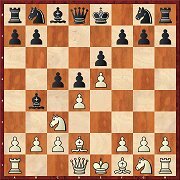 With 7...a6 Black prepares an immediate ...b5, but also ...dxc4 followed by ...b5. 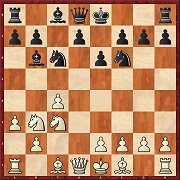 Mihail Marin then examines several continuations for White, none of which, however, is suitable for offering White an opening advantage. 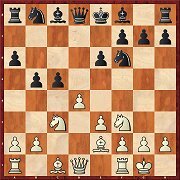 This variation was previously played with 8...Ne7, but as Alexey Kuzmin explains in his article, c5 is the ideal square for this knight and it is better reached via b8. Surprisingly, White then has hardly any chance of an opening advantage.